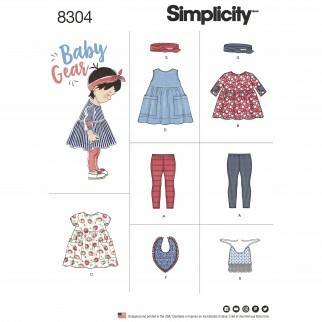 Cute and unique sportswear for babies. 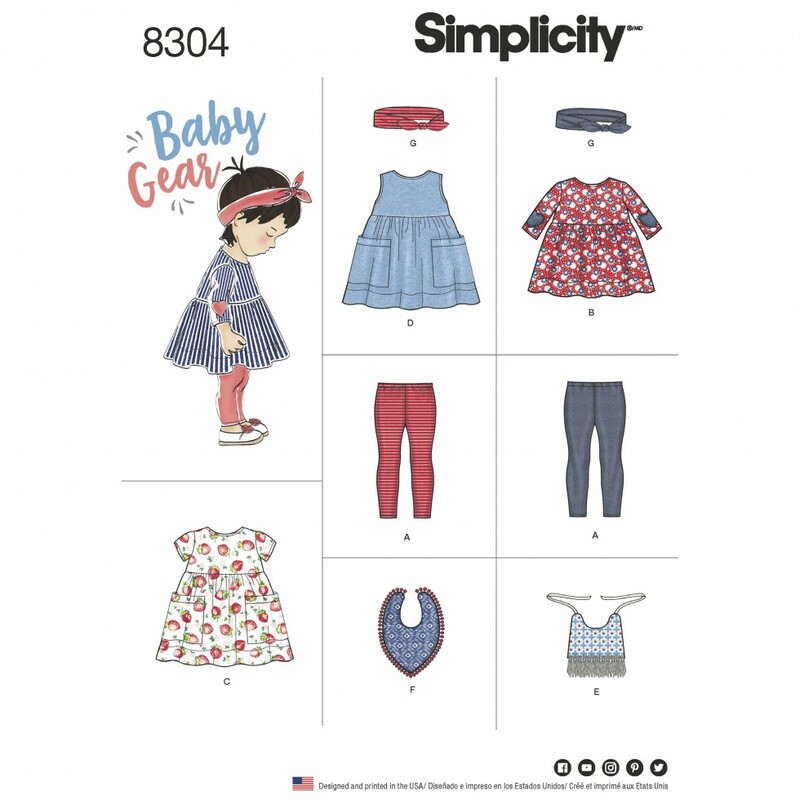 Pattern includes dress with heart shape elbow patches, top, leggings, headbands and stylish bibs. Headbands available in three sizes S(17inch) M(18inch) L(19inch).